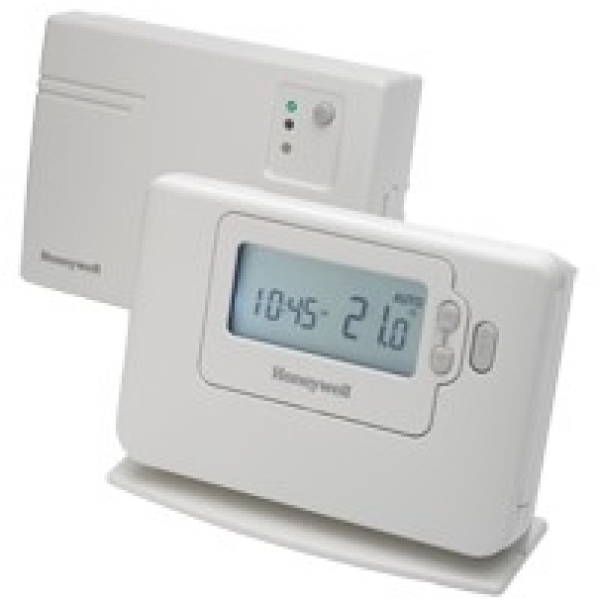 The CM700 range of programmable room thermostats is designed for social housing provider and specifier market needs by providing automatic time and temperature control of domestic heating premises. Large LCD display with simple to program and easy to use functionality. No installer links or switches on the back of the unit means no adjustment is required for combi boilers and most central heating systems. The CM700 range has a scheduled maintenance alert, fault diagnostic mode and automatic Summer/Winter time change to assist in maintenance. The range caters for all requirements with hard-wired or wireless versions and 1 day or 7 day programming. Two wire, volt free connections are ideal for use with combination boilers.